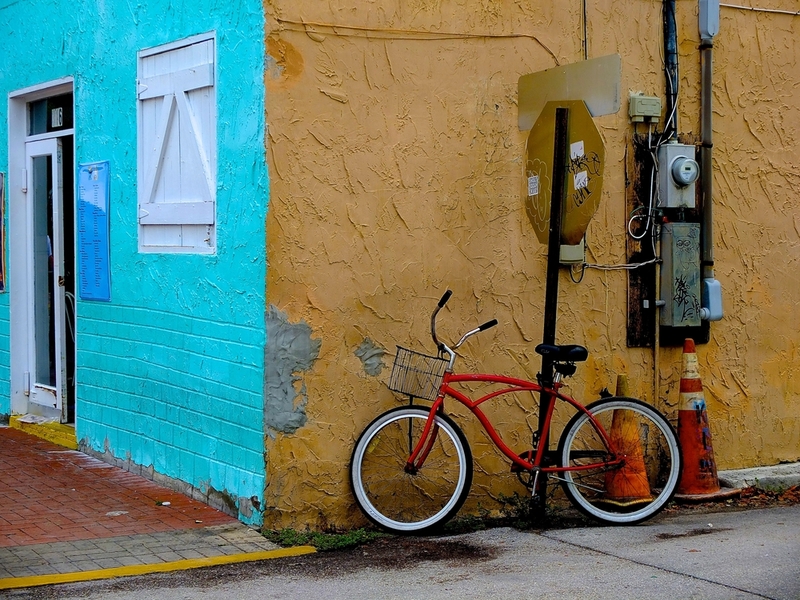 Just 7 miles around and mostly flat, Key West is perfect for a leisurely bike ride. Even more perfect is that 24 North has bikes for rent. Think the ocean breeze in your hair and views of both the Gulf of Mexico and the Atlantic as you take your own personal tour of the Conch Republic. That said, here is our suggested route. Head down N. Roosevelt Boulevard. Here you’ll find palm tree-lined (and paved) streets with views of the Gulf of Mexico on your left. You’ll be heading toward Old Town, which is about a 15-minute bike ride from the hotel. Veer to the left to go over the Palm Avenue Causeway, passing the docked boats as you go over the Garrison Bight. Continue on to Eaton Street, turning to the right, north toward Caroline Street after a few blocks. If you’re in need of a caffeine break, or just want a little snack, head one block up to the Cuban Coffee Queen on Margaret Street - one of our favorite spots when we’re in Old Town. If not, continue heading down Caroline Street, until you hit Front Street and the famous Truman Little White House. Or if Hemingway is more your thing, turn left one street early on to Whitehead Street, where you’ll find the author’s iconic Key West Spanish Colonial, in between Olivia Street and Truman Avenue. If you keep heading down Whitehead until you can’t go any farther, you’ll eventually hit the Southernmost Point, about 7 blocks from the Hemingway House. Stop and take your photos with your bikes to remember. Once you’ve gotten your obligatory tourist pic, head straight on South Street until you hit White Street, and make a right. Soon you’ll find yourself at Higgs Beach. Take some time to people watch at this beach/dog park, or head just a few minutes up Atlantic to one of our favorite beach front restaurants, Salute!. Stop in for a marg (or a few ), and relax on the beach before heading back up Roosevelt to complete your loop of Key West at 24 North Hotel.